The location of this study was a few kilometers from Panama City, Panama. The construction site was near a farm with known water contamination problems. The geology was characterized by varying thicknesses of sands and clays as highly-weathered andesite rock near the surface. 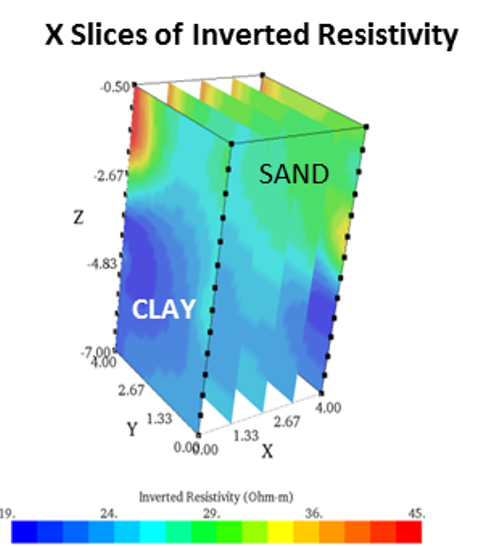 The objective of this 3D Electrical Resistivity Tomography (ERT) study was to determine the clay layer. 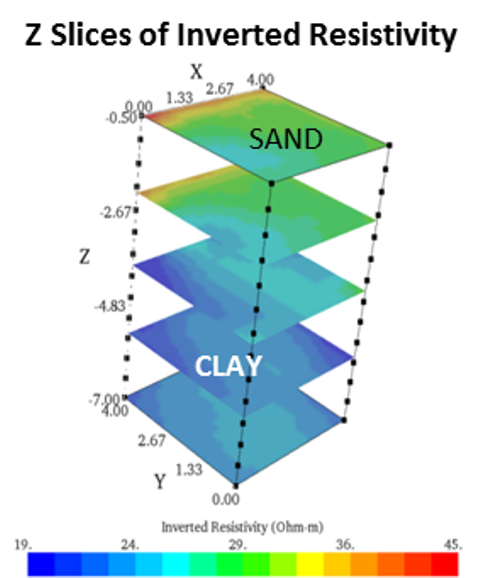 The clay layer would be an important factor in the contamination remediation process. 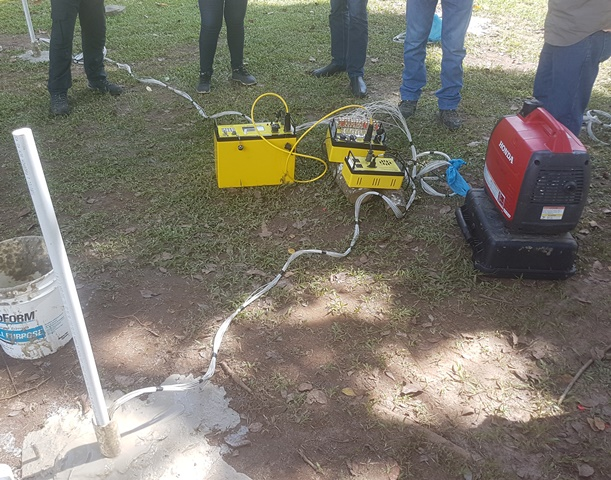 3D Electrical Resistivity Tomography (ERT) was made between 4 boreholes separated by 4m to generate a 3D model of the study area. 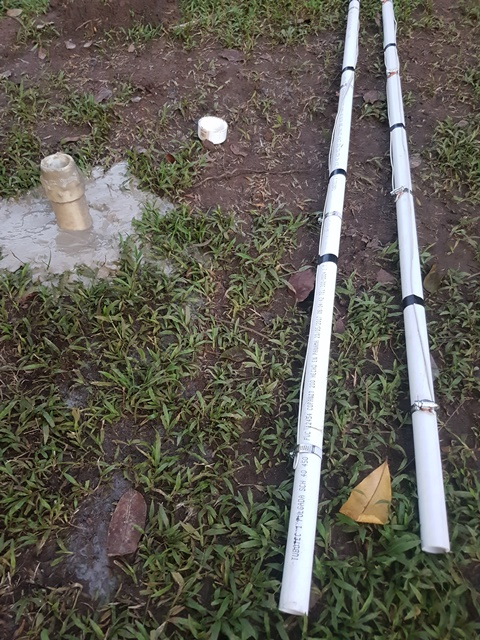 The custom designed cables were used with 14 electrodes in each borehole spaced at 0.5m. 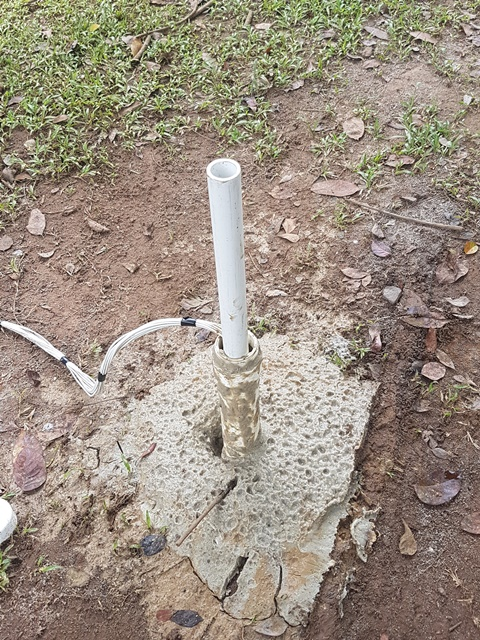 All cables were connected with an AGI SwitchBox Grid which makes it possible to connect separate wires from each electrode using a regular banana plug and SuperSting™ R8 RES/IP/SP/Wi-Fi. 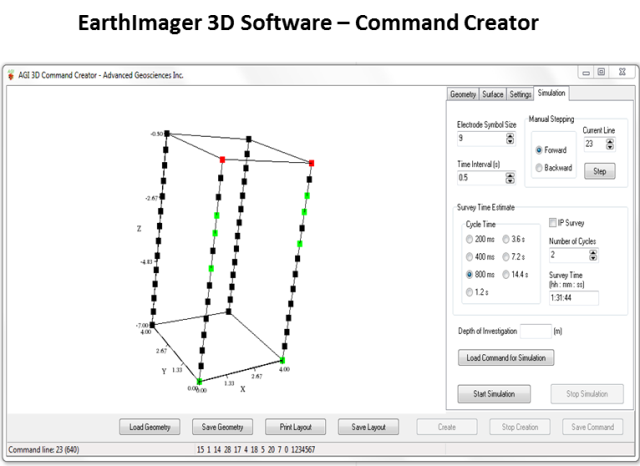 The 3D measurement design and command file were created with AGI EarthImager™ 3D Software by using the Bipole–Bipole array. 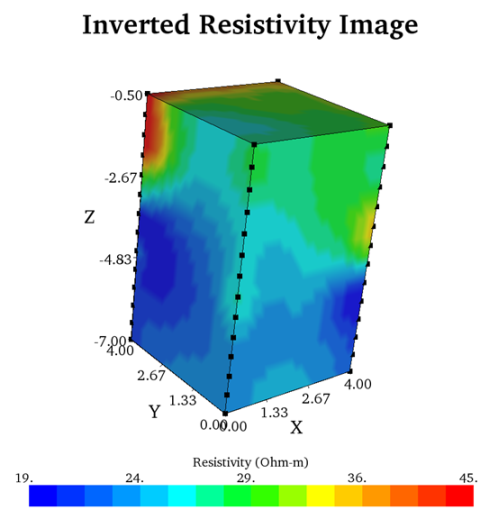 The processing, modeling, and inversion of the apparent resistivity data was also done in EarthImager™ 3D. 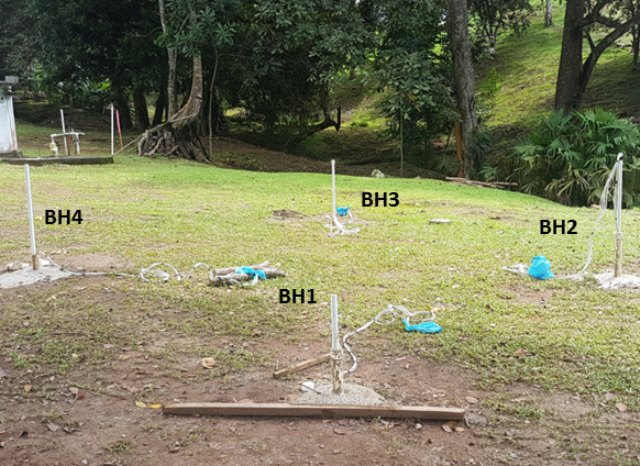 The low-resistivity anomalies indicate the presence of clay which was correlated with the borehole samples. 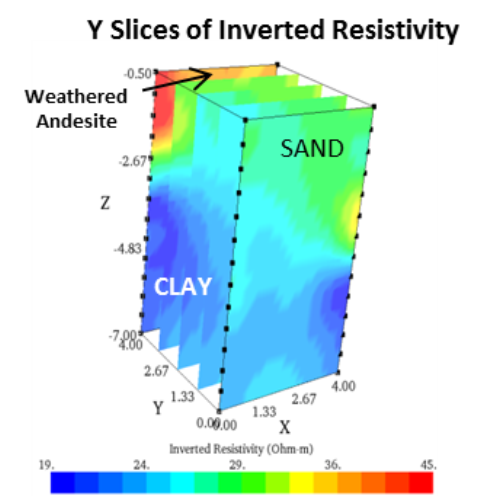 The high-resistivity anomalies corresponded to sands and highly-weathered andesite rocks. This represented the highest values of resistivity shown in the sliced-section images between boreholes 3 and 4, reaching depths up to approximately 2.2m. 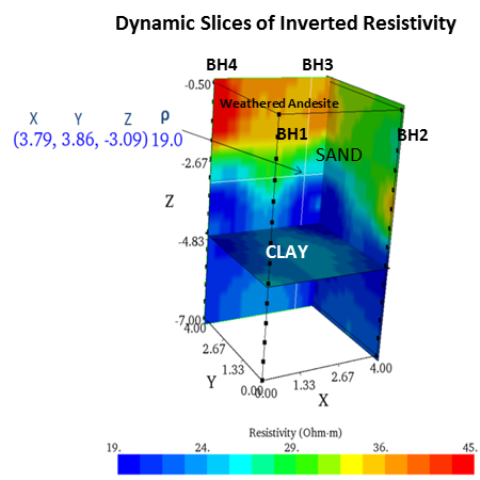 The depth of the clays vary in a range of between 3m (BH4-BH3) and 4.2m (BH1-BH2) depths. 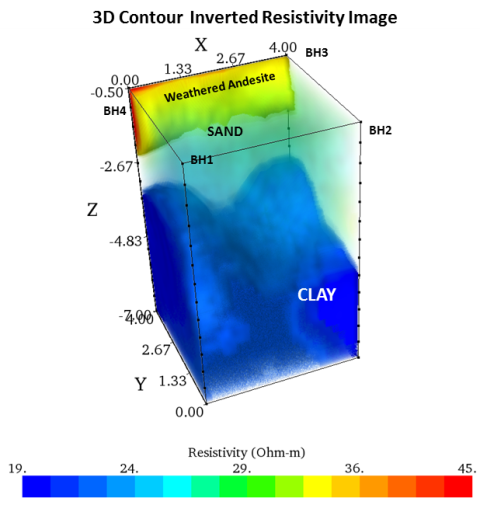 The 3D Resistivity Contour Plot also clearly shows depth variations of the clays. Data courtesy of: Geo Water Consult, S.A.